GooMeng Technology Co., Ltd. is mainly engaged in the production and processing of auto parts, auto maintenance tools, car detectors and other products. There are more than 100 kinds of existing products, and the products are sold at home and abroad. GooMeng Technology develops step by step with a complete and scientific quality management system and integrity-based business objectives. Excellent product quality is recognized by the industry. 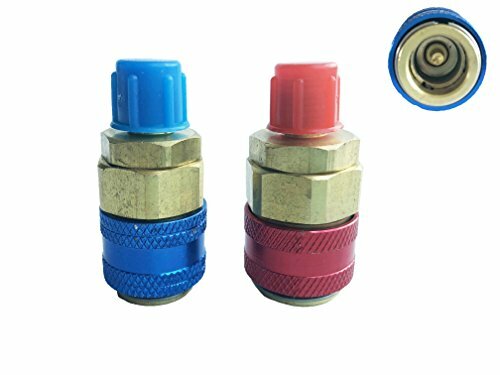 2.Quick Couplers Red & Blue for Refrigerant R134a to be use in Automobile. 5.his pair is needed between the car AC service ports and the Manifold set or any service tools to do diagnosis/charging etc!